Tuesday was another anxious day for the market, ahead of three major events beginning with the Fed decision getting announced today, Scotland’s vote on Thursday, and the debut of Alibaba on Friday. All along, I have felt that the past few sessions have been an orchestrated attempt to shake out weaker hands. The fundamentals have not changed and the economic backdrop actually improved, though only slightly. Also, there was other news Tuesday that caused concern for many investors. 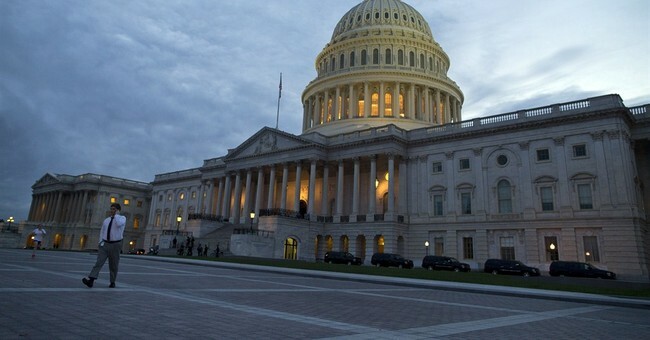 Tuesday, developments were brewing in Washington that could have a much larger impact on the market and your retirement. John Bogle, father of the mutual fund industry, is trying to get Washington involved in your pension and retirement accounts. There was a rehash over the max people should be allowed to have in their retirement account. Although, there are currently limits on contributions, it is believed executives, like Mitt Romney, put in cheap stocks that grow into tax-protected fortunes. In addition, the topics of government mandating auto-enrollment and auto-escalation were mentioned and championed by Bogle. However, while it was not mentioned at the hearing this summer, Bogle outlined a need for a federal body to approve products for retirement investing. This Federal Retirement Savings Board would have the power to rule out high-cost or high turnover products. We are talking about the same federal government that oversees Social Security and Medicare. In 75 years, the funds will be in the red by an estimated $44 trillion. I understand there is a lot of reluctance about investing because of Wall Street shenanigans, but is greater government oversight the answer? Absolutely not! I would like to see Social Security funds placed into the market – limited to Blue Chip names. The idea that the federal government should be a gatekeeper is frightening. This is all ‘part and parcel’ of a government with an insatiable appetite for power and ‘your’ money. I think one of the biggest problems for the US economy is that Big Government needs massive amounts of money to fund a welfare state and to keep tabs on all facets of society. Right now, it is estimated the burden of red tape will cost American businesses $1.75 trillionannually. 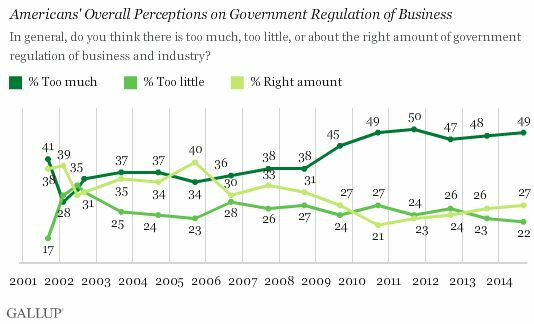 Americans understand the issue and overwhelming think that there is too much regulation of businesses: 49% say there is too much; 27% say just right; and only 22% think it is too little. 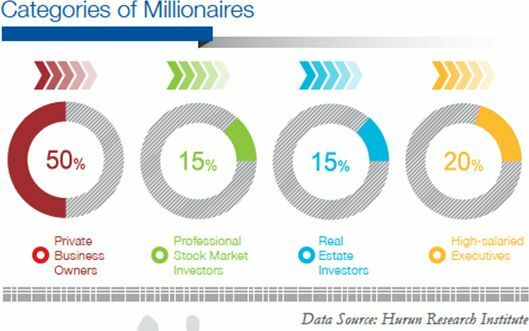 China created 40,000 new millionaires last year, bringing its total to more than one million millionaires. In addition, 64,000 people have more than $100 million, while there are 8,100 billionaires. For a nation that was decidedly third world more than a decade ago, this is a remarkable achievement. What is even more remarkable is how people are getting rich in China. As Americans shun entrepreneurship and the stock market, the Chinese are all in for a chance to extend the move from riding bicycles to work, to driving Mercedes Benzes. Tuesday, Stephen Hung, a Hong Kong tycoon and entrepreneur, placed an order for 30 Rolls-Royce Phantoms valued at $20 million. This was the largest, single order in the company’s history. Hung wants to transport guests around his new gaming complex in Macau, opening in 2016. The Louis XIII project is considered among the most luxurious hotel-casinos in the world, with the penthouse suite going for $130,000 a night! Two of the Phantoms are more expensive and commissioned worth $1,000,000 each. Mr. Hung and his wife personally own four Rolls-Royces… not bad for a USC graduate. The same template works in America for those seeking greater wealth by owning a home, investing as much money as possible, and by staying focused. Tuesday's LessonI think we witnessed a classic shakeout over the last few sessions. This is apparent in high-Beta stocks, equities that are a lot more volatile than the broader market. Again, I cannot stress enough that if you are a trader, trade as a long-term investor, and hold them. Sadly, people cheer as these stocks go up, and do not consider taking profits, even if they have triple-digit gains; but once they turn, these same winners are sold for losses. Recently on my show, I noted volatility, as it is important for you to match ideas with your temperament. However, at the end of the day, you must decide to stay true to your goals. For the most part, we feature high Beta names, mostly on the Swing service, but even there, we have to avoid being stopped out during a panic, only to regret it for the next session or week.